The delicate art of the table is also tied around the little ones' necks. 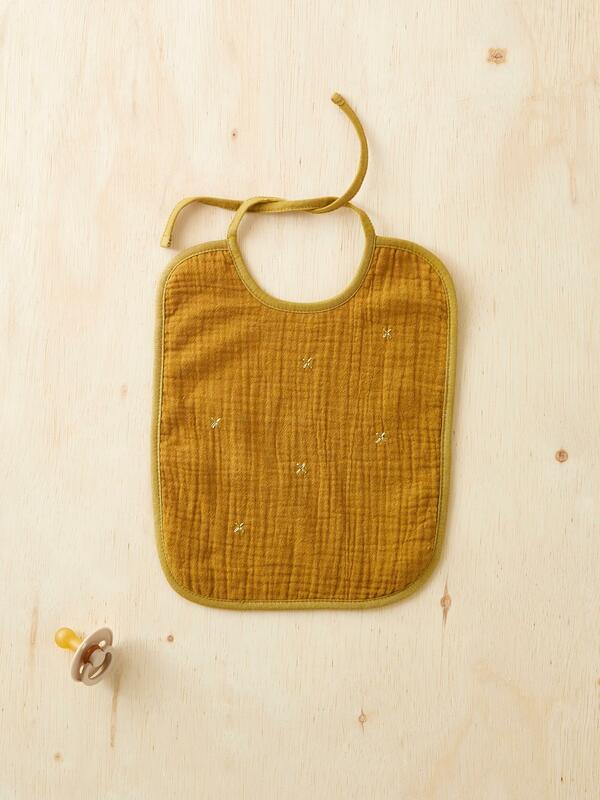 The honeycomb bib is embroidered with small golden stars. A beautiful gift idea!